Natural and sustainable economic growth is that kind of growth which leads to a rise in living standards. It comes about as a result of production, saving and investment. Savings can only accumulate if less is consumed than is produced. The higher savings are in relation to consumption, which we may refer to as the consumption/savings ratio (C/S), the more resources become available for investments. As savings and investments are both necessary for natural economic growth to take place and as there can be no investment without saving, the lower the C/S ratio, the higher the potential economic growth. Conversely, the higher the C/S ratio, the lower potential growth becomes. Less consumption and more savings hence bring about more output in the future which also means more wants can be satisfied for a greater number of people. Inflationary economic growth on the other hand, which we may also refer to as artificial growth, is a kind of growth that is not sustainable and which ultimately leads to a decrease in living standards. 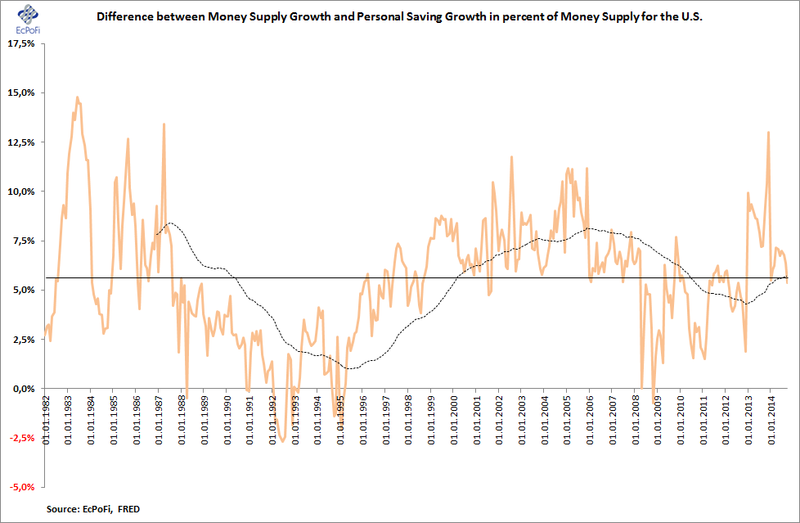 The distinguishing feature of this kind of growth is that it is driven by an increase in the money supply instead of savings. This is the kind of growth that has been dominating many economies for a long time which culminated with the U.S. banking crisis in 2008. Furthermore, this is the kind of growth, unfortunately, that still dominate many economies, including the U.S.
And this time around, the inflationary growth is just as unsustainable as it has been in the past and will continue to be in the future. It will result in a correction in one way or another eventually. There are now signs inflationary growth is running out of ammunition once again in the U.S. And as many have learned by now, this will have repercussions globally as well. The QE4 bazooka is loaded, but probably will be fired too late as usual. Thrift? Who Cares, The Show Must Go On.